Ambiente Blog • An appetite for design. Cutlery is, of course, far more than just a set of tools for eating. Knives, forks and spoons are a reflection of good taste. These days, there are so many attractive cutlery sets with sophisticated designs and a refined feel that it is difficult to choose which one to buy. We show you how to set the table for brilliant mealtimes. 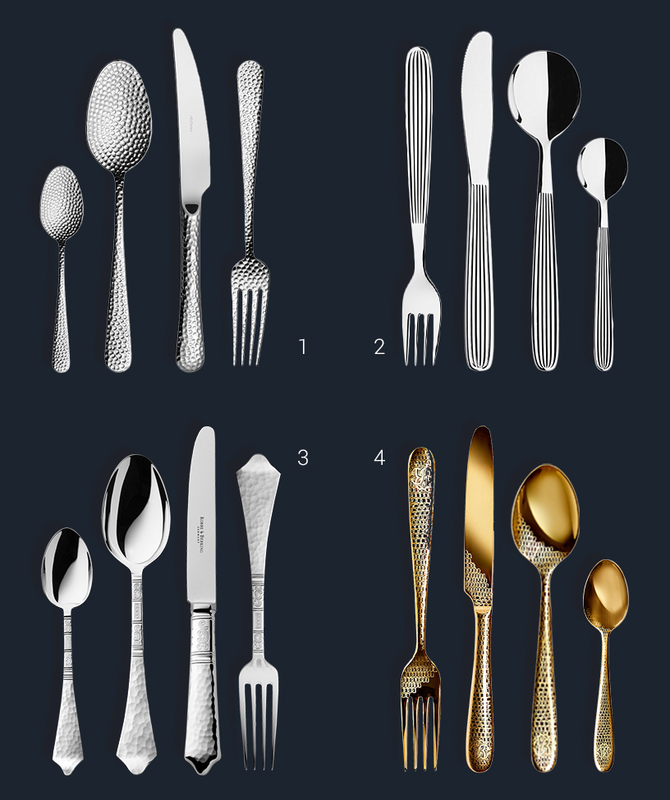 When it comes to choosing cutlery, hotels and high-end restaurants tend to go for timeless elegance and brand quality. A new generation of designer hotels and restaurants, though, is stirring up this traditional outlook by emphasising the complete experience, of which cutlery is an integral part. The interior tells a “story” and, as part of this narrative, the knives, forks and spoons need to be more individual and extravagant. And we’re no less picky at home. We want our cutlery to nestle comfortably in our hand and to fit precisely with our way of living. 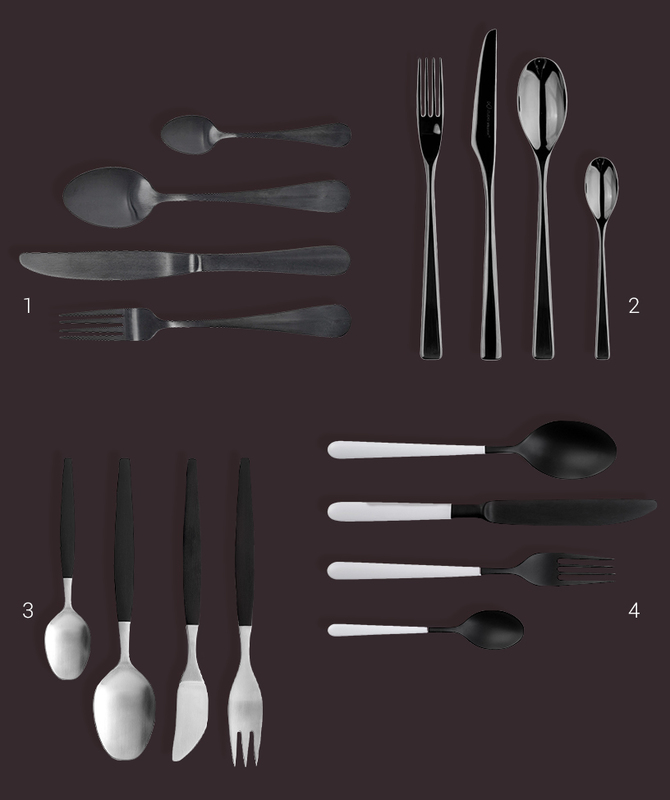 High-quality cutlery and refined silver are today in daily use, which creates new requirements in terms of their design. 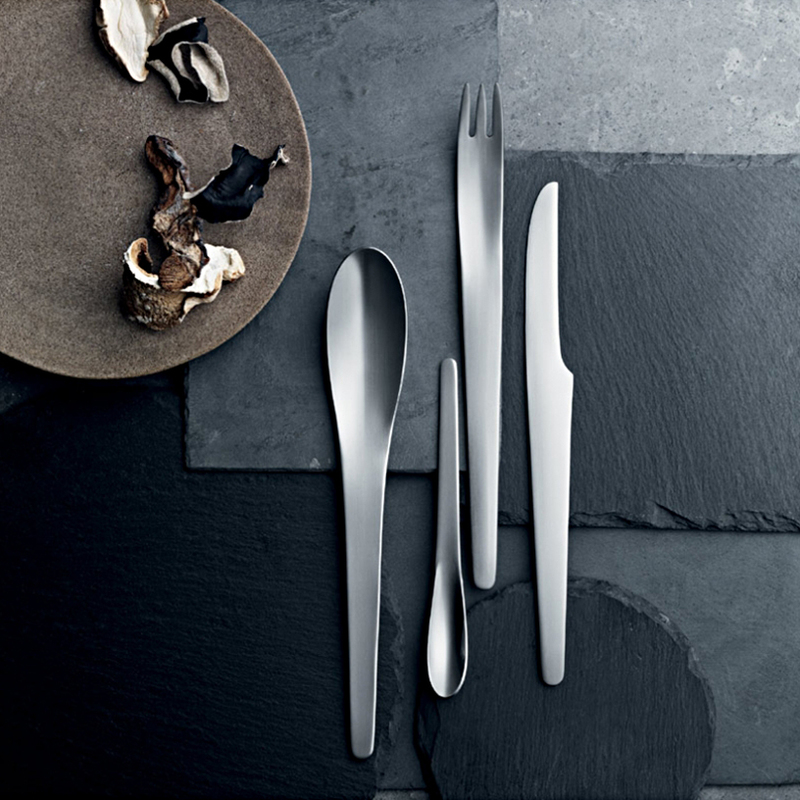 With contemporary cutlery sets you could almost forget their primary function. More and more, they take centre stage as opulent table objects and multiple, minimalist works of art. 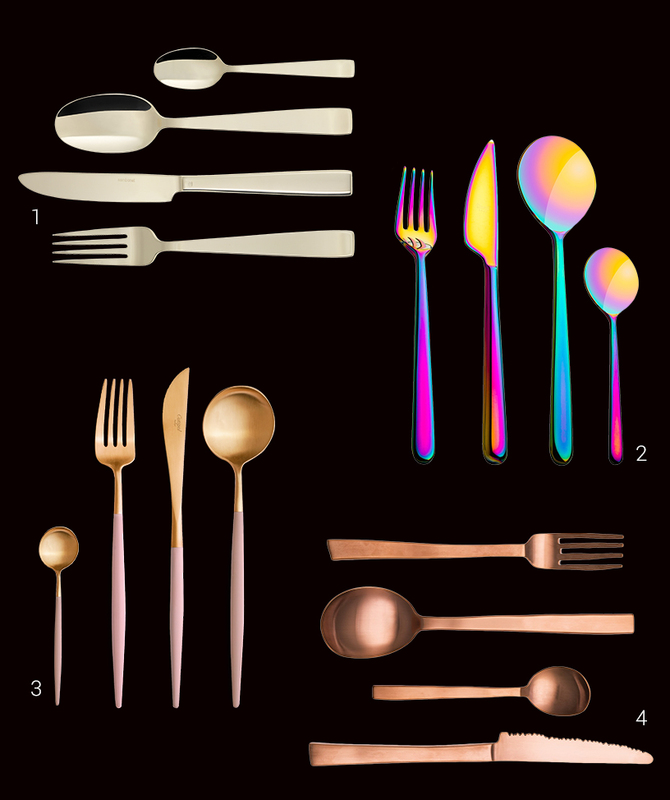 Gold adds a touch of opulence to the cutlery drawer – although mostly in the form of brass. The on-trend metallic colours of gold, rosé and copper give a futuristic look and add the colour spectrum of a shimmering rainbow. The multi-hued finish on 18/10 stainless steel, which is impervious to the acids in foodstuffs, is the ideal thing for romantics or for that especially glamorous occasion. And if you like the glow of gold or warm copper as you tuck into your breakfast cereal, there are plenty of more understated designs. Practical design elements such as thin handle ends of coloured acrylic resin transform this shimmering cutlery into a visual appetiser. “With this gold-coloured cutlery, you can avoid creating a visual maelstrom by combining with white crockery, or with the use of an original vintage companion – Grandma’s gold-edged best china. You can really play around with it. And a slim, modern design such as this one calms down the table,” advises Mikael Horstmann, chief curator at the German Museum of Cooking and Dining Culture in Frankfurt (Deutsches Museum für Kochkunst und Tafelkultur). He describes himself as a “professional flaneur” and is an expert in the science of cutlery. He sees these gleaming products as an expression of a youthful dining culture that borrows from tradition. Isn’t black the colour of philosophers? We agree with French style icon Coco Chanel and see black as a sensual statement. It goes beyond the vagaries of fashion, as evidenced by this cutlery set of black stainless steel that certainly doesn’t look as though it’s in mourning. We immediately want to experiment with these elegant implements. “A black spoon together with a snow-white plate or a mix with classic China red – the colours enhance each other. And I find a sand-coloured tablecloth attractive,” says cutlery expert Mikael Horstmann. 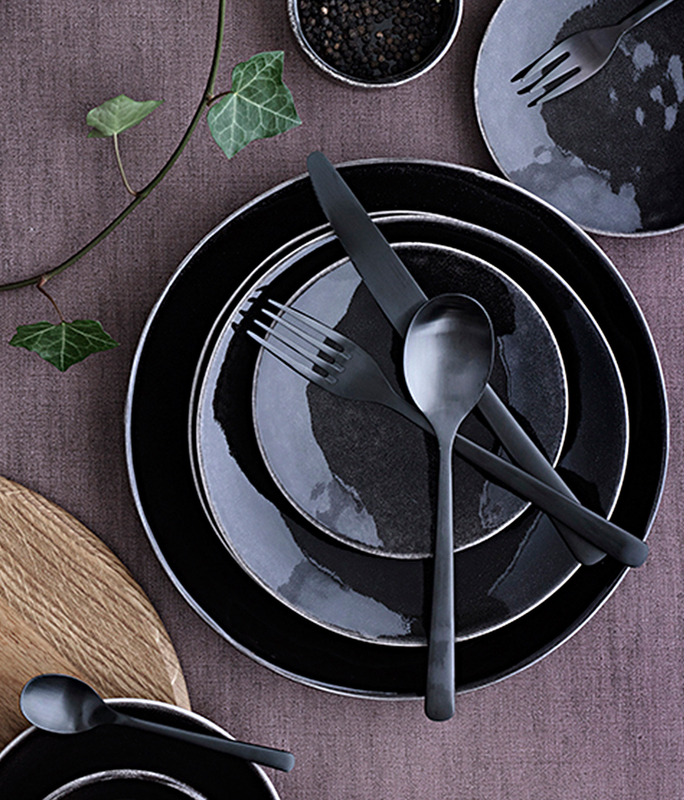 On the other hand, he adds that black cutlery has a special appeal for purists when combined with deep-black china or stoneware. 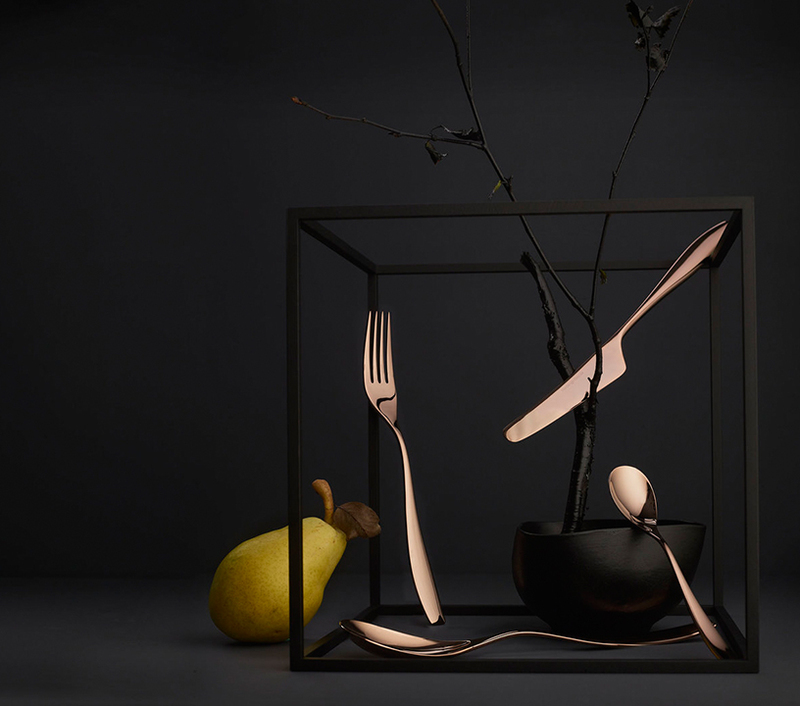 Matt cutlery items that look as though they have been dipped in coal dust intensify the aesthetic effect. And for those who just want to dip their toes in this dark world, there is black cutlery with white handles – a mix that also works well with gold or grey. “Engraving has a long tradition,” says Mikael Horstmann and shows exhibits from the Museum of Cooking and Dining Culture. “In earlier times, only the undersides were artistically decorated as forks and spoons were laid the other way up ‘à la mode francaise’, i.e. 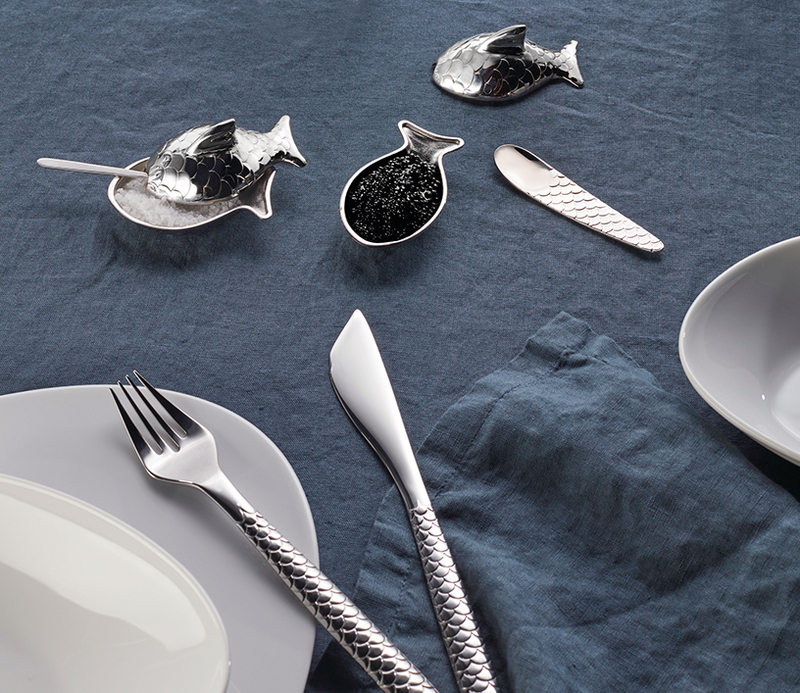 the fork tines and the tip of the spoon lay on the table.” The curator looks for new handcrafted products from the ritual-laden world of dining, which is why he is struck by a special tool for seafood whose surface is reminiscent of fish scales that emphasise its function. “Embossing such as this had almost disappeared and now it’s coming back in a strongly modern fashion,” he states. 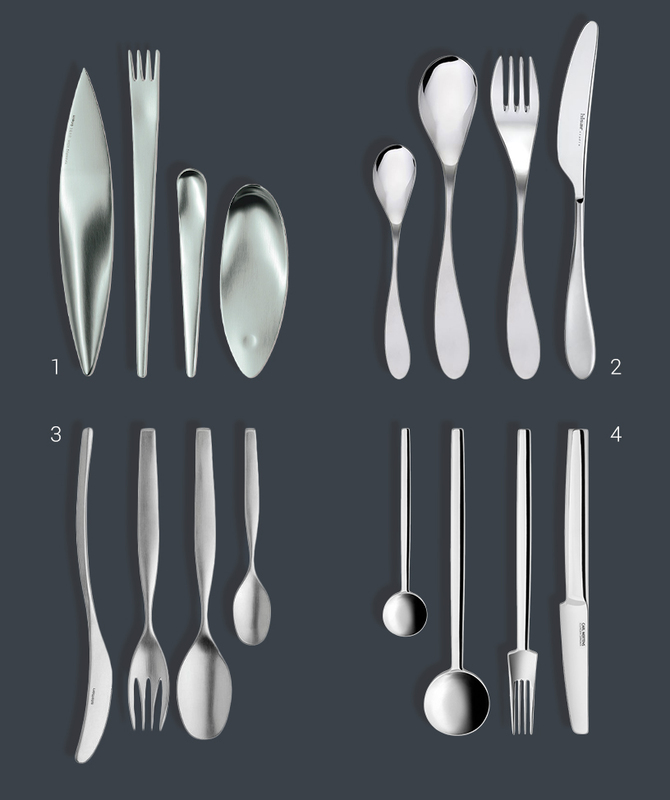 Some cutlery sets use the bowl of the spoon or even the fork tines as design surfaces. “That is new. Using a complete hammered look for these areas that come into contact with our food and mouths hasn’t happened before,” we learn. Functionality and aesthetics here hark back to historic table “dress codes” while also being nonchalantly right up to date. In conclusion: Our on-trend cutlery, whether golden, black, with elaborate engraving or embossing, are superb examples free of affectations. They baulk at the obligatory use of silver and bring completely new combination possibilities to the table. Their fresh design spirit is a tonic for body and soul, even in a purist interior.